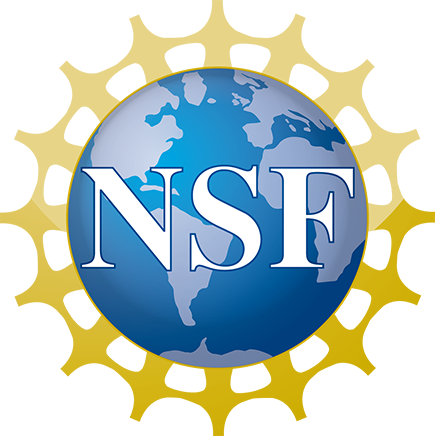 Exploiting Resource Description Framework (RDF) data for Online Analytical Processing (OLAP), especially Linked Open Data (LOD), could allow analysts to obtain interesting insights. To conduct OLAP analysis over RDF data, analysts should know the specific semantics, structure, and querying mechanisms of such data. Furthermore, these data should ideally adhere to a multidimensional structure to be accessible to OLAP. 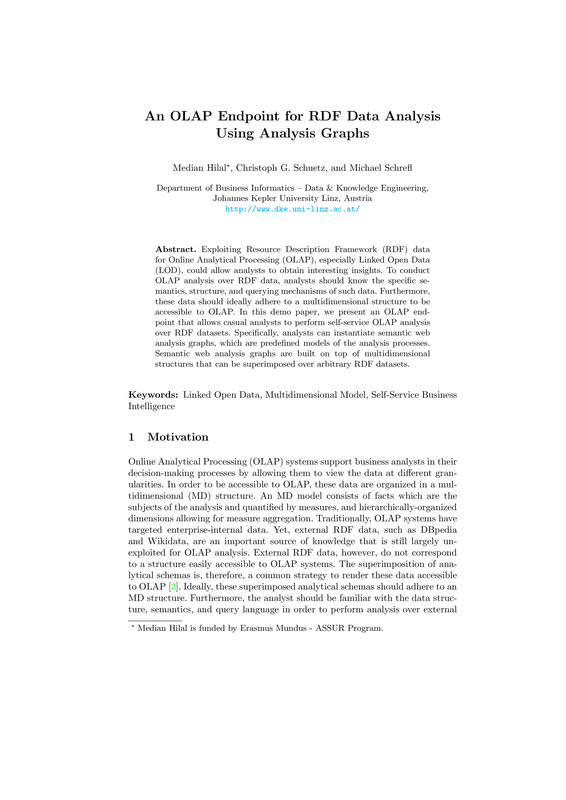 In this demo paper, we present an OLAP endpoint that allows casual analysts to perform self-service OLAP analysis over RDF datasets. Specifically, analysts can instantiate semantic web analysis graphs, which are predefined models of the analysis processes. Semantic web analysis graphs are built on top of multidimensional structures that can be superimposed over arbitrary RDF datasets.